Well, you probably read the story about our trip to England in May 2008. You know that I asked Gail to marry me. Unfortunately, over the following months, medical issues preempted a formal ceremony, time after time. In December we had our rings made. 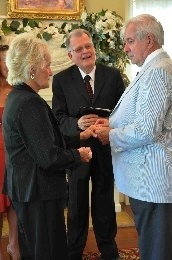 Finally, May 4, we resolved to 'force the issue'...we went to the County Clerk and got our marriage license. 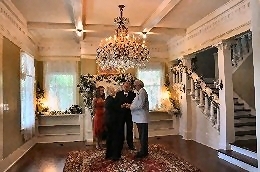 It just so happened that Gail's grandson, Chet, was getting married at a beautiful 1905 mansion/wedding facility on May 30, 2009. The night before, after a glass of wine....Gail suggested....Let's bring our rings and license along...just in case there is an 'OPPORTUNITY'! 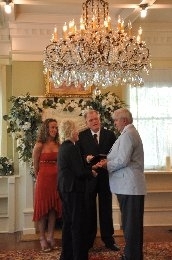 It was a beautiful day....the garden ceremony for Chet and Christina went as planned. As the Minister was about to leave, Gail tugged at my jacket..."Go ask if he will do another one." 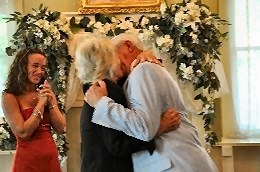 As he turned around, she asked.."Can you do another ceremony?" "Welllll.......you have to have a license..."
"No problem....it's in the car!" After checking with the owner of the facility, he came back and invited us inside for a private ceremony. 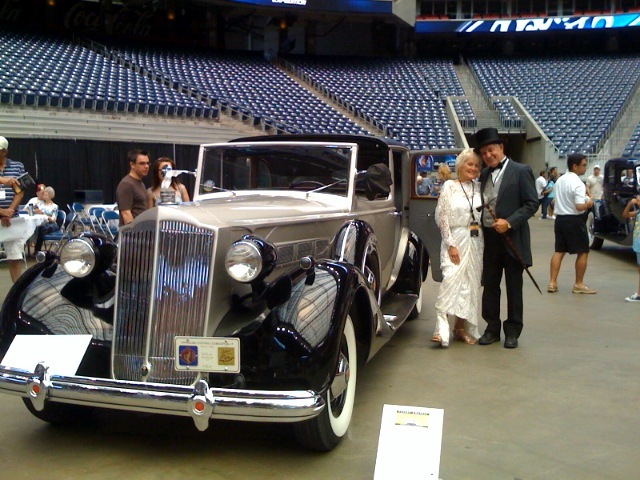 On June 14, we participated in a Concours d'Elegance in Houston. 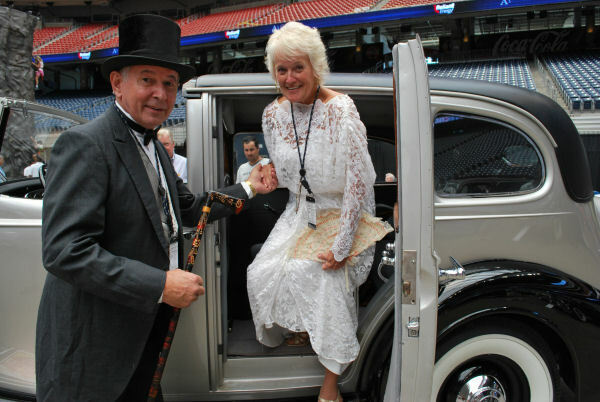 A benefit for the Shriner's Hospitals for Children in the air conditioned Reliant Stadium. We took the LeBaron Town Car and dressed appropriately. 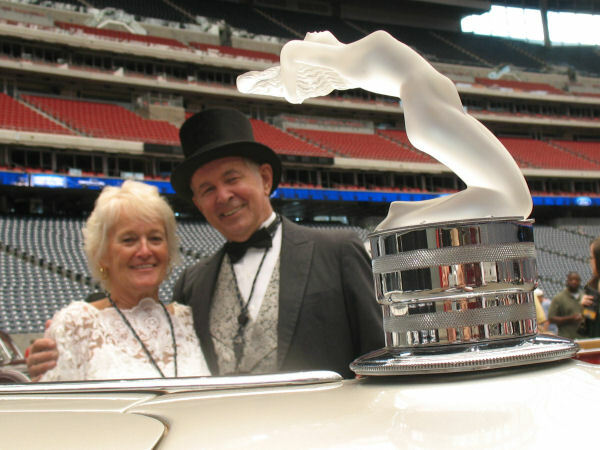 It is unknown who was photographed more frequently....Gail and I, or the Lalique hood ornament, "Chrysis" .